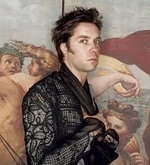 Rufus Wainwright sure is picky. 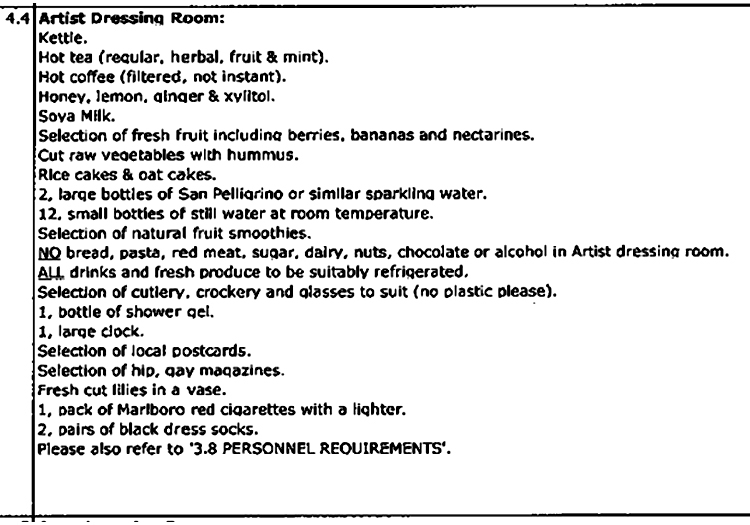 The singer-songwriter’s 2010 concert rider (excerpted here) is full of restrictions: No bread, no pasta, no red meat, no sugar, no dairy (including no butter or sour cream), no nuts, no plastic cutlery, no chocolate, no Evian water, not even any alcohol. Submitted by frosty7530 on Tue, 2010-10-26 11:20. Aw Rufus. U R 1 of my faves & U R hurting yourself w/this hypchondrial crap. I use the word hypochondriac to designate an obsession, not imagination, w/one's bodily ailments etc. 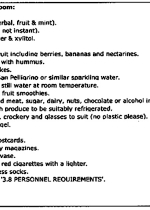 I am sure you have real problem and some foods are bad for you, but no way all of these! U smoke cigies & deny your body calcium and that does not make sense. Your use of tobacco would seem to make usage of dairy products more important. becuase I love your music, I will provide the following menu: Greek Roasted Chicken (free base,organic) stuffed w/moza-meal. Season chicken with Tarragan, Fresh Lemon Juice, onion & garlic to taste. Use white pepper, instead of black. 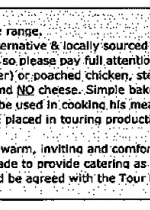 Oven roasted or rotesserie. In pan, roast chicken in potatoes, carrots & celery. I would serve an Italian orzo on the side (very similar to rice). Season Orzo (add chopped mushrooms) rice w/italian salad dressing, like 7-Seas Red Onion/Wine Also roasted potatoes w/roasted carrots. Desert: Frozen Papya. a perfectly frozen papya is a blessed alternative to those on sugar free diets. Also some of your magazine choices are slimmer due to so many alternative presses going out of business. Would you be open enough to reading alternative press for each of your cities, even if it was not 100% gay focused? How about other "avant garde" publications? Have you invested in an e-reader yet? This would save you from being devoid of reading material, a great option for people who love to read, while on the road. Your flower choice is beautiful, and I would be first to give you bouqet Rufus! You are truly one of most talented singer-songerwriter's of my 62 yr lifetime. I pray U will b here long past me, so please start eating like a human being. I have lost 3 very real people to anorexia and extreme diets like yours. I miss them lots. Marilyn Manson washes down these chewy delights with two bottles of absinthe.